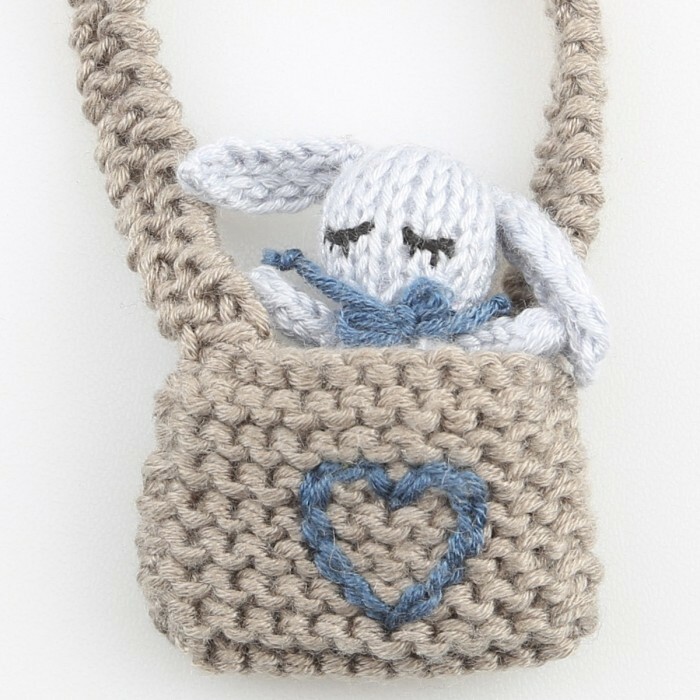 Knit the sweet, little bunny “Baby Bunny Magnus & Bebs”. A kit from Go Handmade makes it easy to knit the cute animals since you get everything you need all at once. 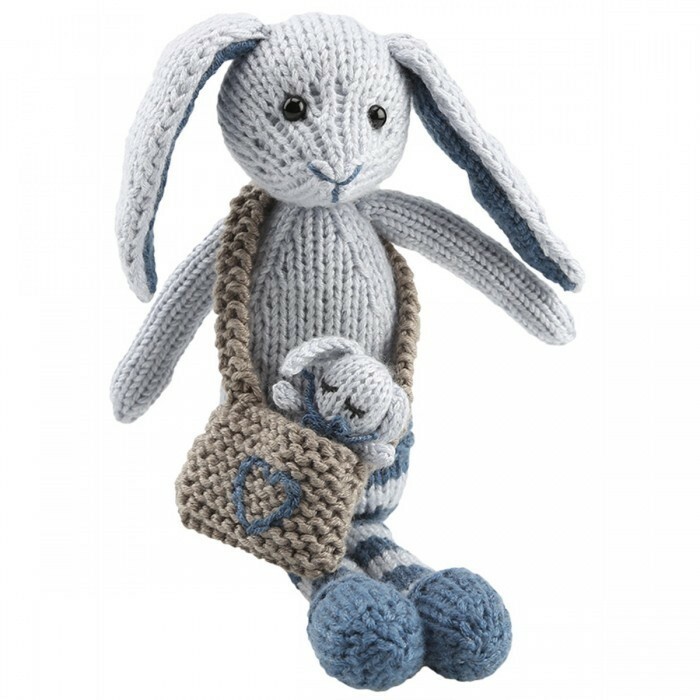 Bunny Magnus and Baby are knitted in light blue and petroleum colored or off white and pink. The bunny also comes with a small bag for the Baby to sit in. The instructions of the knitting pattern are easy to understand and follow and the pattern has a clear layout with several pictures. The pattern is available in 7 languages (Danish, Swedish, Norwegian, German, English, French and Turkish). The yarn consists of 30% cotton and 70% bamboo. The bamboo helps making the yarn soft and fabulous – lovely yarn of a good quality. Remember: If you are not going to make the kit from Go Handmade yourself, then the kit is also perfect as a gift. Give it to a creative soul who loves handicraft. Magnus measures approx. 9 inches (23 cm), while Baby (Bebs) measures approx. 1.97 inches (5 cm).